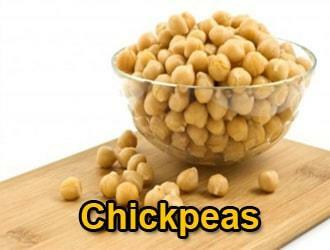 Chickpeas are indispensable among legumes after dry beans. Ladies usually cook every day, so sometimes they don’t know what to cook. If one day they cook a meal from a group of vegetables, another day they cook foods like pulses, chicken, meatballs. For example, a few days a week, cabbage, leek, cauliflower or broccoli, vegetable dishes such as chickpeas, lentils or dry beans are cooked occasionally for a few days. In the meantime, the meat Group products delicious chicken, meatballs or fish are cooked. In particular pulses are made of rice pilaf, wheat pilaf or a pasta with sauce next to the dishes such as lentils, dried beans. And if you make salads such as shepherd salad, everyone consumes that dinner with a great deal of joy. Of course, there are many benefits and benefits of these pulses in terms of Health. In particular, the benefits of chickpeas found among these legumes are quite high. What are the benefits of chickpeas consumed with taste and appetite, what are the benefits for health and what are the benefits to prevent diseases? This medicinal plant, called cicer arietinum in Latin, is a very useful plant in terms of Health. Especially in our country in the region of Central Anatolia consumed plenty. It is grown abundantly in Anatolia Region. During the winter months, food is often cooked by almost everyone. Very few places are raised in different colors and different sizes. Of course, one of the most famous used areas is the production of leblebi. Chickpeas are the main ingredient of chickpeas. Leblebi is consumed by many people in love. It is also used to weaken. It also has an effect preventing nausea. Regular consumption of pulses in this way prevents diseases such as diabetes, primarily diabetes. Prevents the development of harmful bacteria in the intestine, on the contrary, contributes to the development of beneficial bacteria among the benefits of chickpeas. Strengthens the body’s immune system. Reduces the risk of getting sick. It contributes to the structure of bones and teeth because of the phosphorus it contains. Helps strengthen bones and teeth. By affecting the hormones of happiness, it helps you to feel happy and peaceful. So it helps to prevent depression. Contributes to growth and healthy development. Contains high levels of calcium, fiber, potassium, magnesium, zinc and iron. Protects the heart, is friendly with the heart. Reduces the risk of heart disease. Makes learning easier by strengthening memory. It has anti-constipation effect by relaxing the digestive system. It is also very useful for women during menopause. Menopause can reduce symptoms such as hot flashes and sweating. Are you complaining that you can’t lose weight? He wants to lose weight, but you can’t get rid of excess weight? In this case, you can get rid of your excess weight by consuming this medicinal legumes. As mentioned above, you can also diet, lose weight and lose weight. It has the ability to make you feel full for a long time. When you consume this pulses, you will not be hungry for a long time, you will not feel hunger.